Both Jamaica’s national development plan, Vision 2030, and Jamaica’s Climate Change Policy Framework recognize the importance of integrating adaptation considerations across these vulnerable sectors to ensure climate-resilient development. Over the past decade, the Government of Jamaica has started to understand climate change as a national development challenge that concerns all sectors of the economy, rather than as a strictly environmental issue. Jamaica’s first long-term National Development Plan, Vision 2030, includes a focus on “hazard risk reduction and adaptation to climate change” as one of its 15 national outcomes. 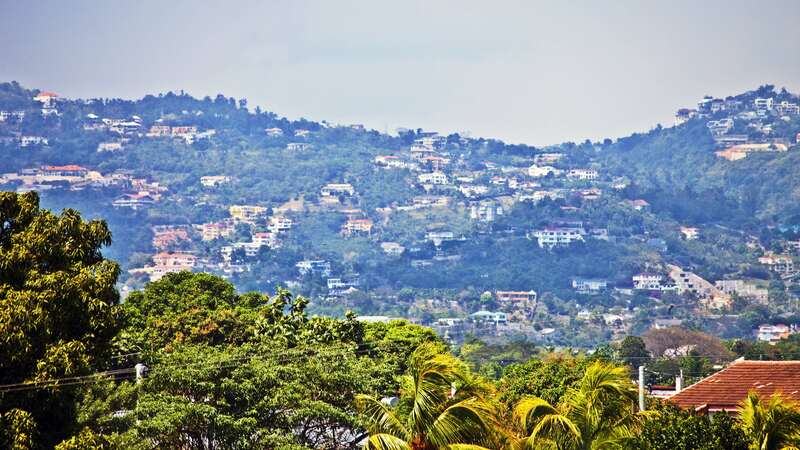 The plan, which aims to transform Jamaica from a middle-income country to a developed country by 2030, intends “to provide the framework to ensure that climate change issues are mainstreamed into national policies and development activities.” The Plan includes the objective to “create mechanisms to fully consider the impacts of climate change and “climate proof’’ all national policies and plans.” A National Climate Change Policy Framework was also approved by the Government of Jamaica in late 2015. Both Vision 2030 and Jamaica’s National Climate Change Policy Framework call for the development of sector-specific climate change strategies for Jamaica’s most vulnerable sectors. Therefore, at the sector level initiatives are already underway to develop climate change strategies and action plans. Some sectors, such as agriculture, are developing stand-alone climate change strategies or action plans with the aim of later integrating them into their overall sector strategies. Others, such as the forestry sector, are taking advantage of ongoing updates to existing sector plans or strategies to directly integrate adaptation within them. The adaptation priorities and approaches taken by these vulnerable sectors are later expected to be merged into a national adaptation strategy and action plan. Jamaica is therefore an example of a hybrid approach to initiating sector integration: Vision 2030 identifies addressing climate risks as a national development priority, calling for efforts by vulnerable sectors to begin their own adaptation planning. In turn, the strategies that vulnerable sectors are now developing will feed into a national adaptation strategy and action plan. Jamaica’s national development plan, Vision 2030, includes both a clearly defined national climate change outcome and calls for national and sectoral strategies to achieve it. Vision 2030 and Jamaica’s National Climate Change Policy have launched a process through which climate change considerations are currently being integrated into priority sector-specific policies. View this figure online here. The Planning Institute of Jamaica (PIOJ), a national agency of the Ministry of Finance and Planning (MOFP), has played a central role in ensuring that climate change is treated as a national development priority and cross-sector issue. The PIOJ has the mission to lead policy formulation on economic and social issues to achieve sustainable development, and is the National Technical Secretariat for Vision 2030 Jamaica. The PIOJ is responsible for coordinating all development efforts under Vision 2030 and for monitoring and evaluating results. It oversees Thematic Working Groups on each of Vision 2030’s outcomes, including the one on Hazard Risk Reduction and Adaptation to Climate Change. Jamaica has also established an institutional coordination structure for addressing climate change. A new Ministry of Water, Land, Environment and Climate Change (MWLECC) was established in 2012. In 2013, a Climate Change Division (CCD) was founded under MWLECC to coordinate climate change activities across sectors. CCD also collaborates with the Vision 2030 working group on Hazard Risk Reduction and Adaptation to Climate Change to support integration of adaptation considerations into development planning. A Climate Change Focal Point Network established in March 2014 is presently composed of 27 focal points drawn from all government ministries and selected government departments and agencies. This number is set to increase in the near future when focal points from additional agencies and local government organizations will be appointed. These focal points are expected to report regularly to the CCD and are responsible for supporting the integration of climate adaptation planning at the sectoral level. Finally, although not currently active, a Climate Change Advisory Board is envisioned to provide scientific and technical advice to the CCD and the Minister, with representation from across sectors, academia, and the private sector. Figure 2 illustrates the institutional arrangements that are in place and the levels at which integration of climateadaptation into sector and development planning takes place. Donors working in Jamaica have to align their support with Vision 2030, which includes addressing climate risk as a priority, and the climate change policy framework. PIOJ’s External Cooperation Management and Project Development Department reviews donors’ country strategies and projects to be funded. In principle, requests for funding from any ministry must also first go through this department, although coordination meetings are often held between specific sector ministries and development partners on an as-needed basis. At the time of writing, the development of sector-specific climate change strategies and action plans is expected to be supported by three different donors: USAID; the Climate Investment Fund through the Inter-American Development Bank/World Bank under the Pilot Program for Climate Resilience (PPCR), and the European Union through the Caribbean Community Climate Change Centre (5Cs). Coordination among these donors as well as interministerial coordination will be crucial to the successful integration of adaptation into these sector strategies, and alignment with overall development priorities. Watch the first webinar in a series by the NAP Global Network that explored the question: How are countries ensuring climate-resilient planning in priority sectors? This webinar includes a presentation by Dr. Orville Grey from Jamaica’s Ministry of Economic Growth and Job Creation. Deutsche Gesellschaft für Internationale Zusammenarbeit (GIZ) GmbH. (forthcoming 2016). Institutional Context Analyses for National Climate Adaptation Planning Processes: Lessons from Jamaica, Kenya and Togo. (GIZ) GmbH.